Location : Venus Drive, Jurong Woods, Chestnut Avenue Nature Trail, Singapore Botanical Gardens, West Coast Park, Rifle Range Nature Trail, Wild Wild West, etc. 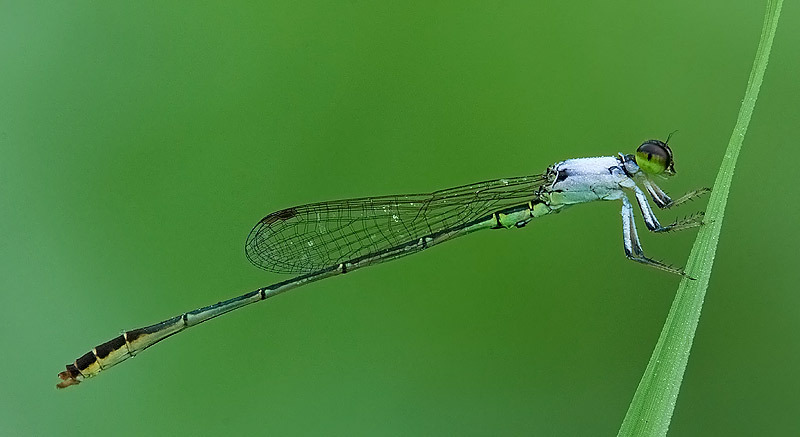 This is classified as an uncommon species but I have seen the males on many occasions such as Venus Drive, West Coast Park, Rifle Rifle Range Nature Trail, Jurong Woods, etc. They are usually found in sluggish streams & shady drains. A common species in my opinion. 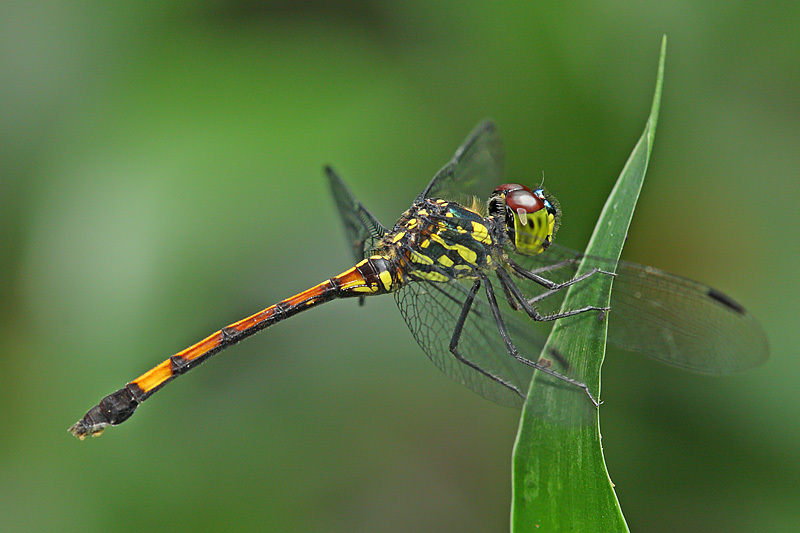 The male has a a prominent red abdomen with black markings. 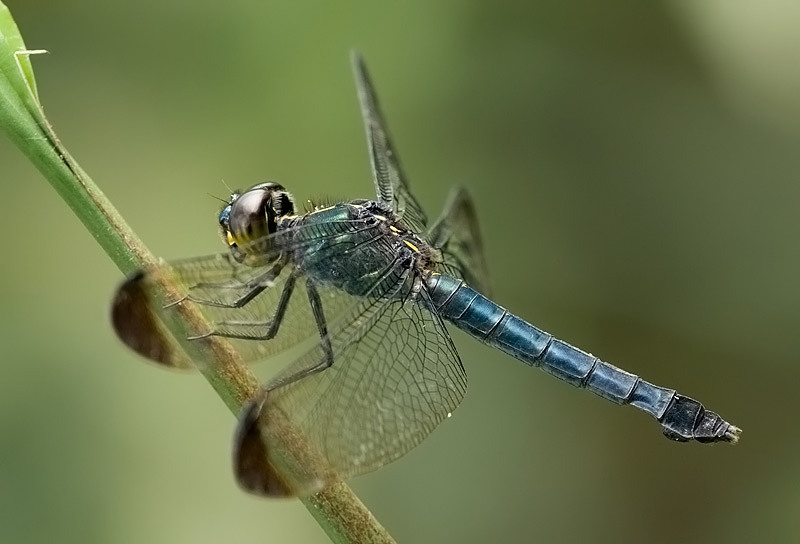 The female is thicker and the colour in its abdomen is duller. 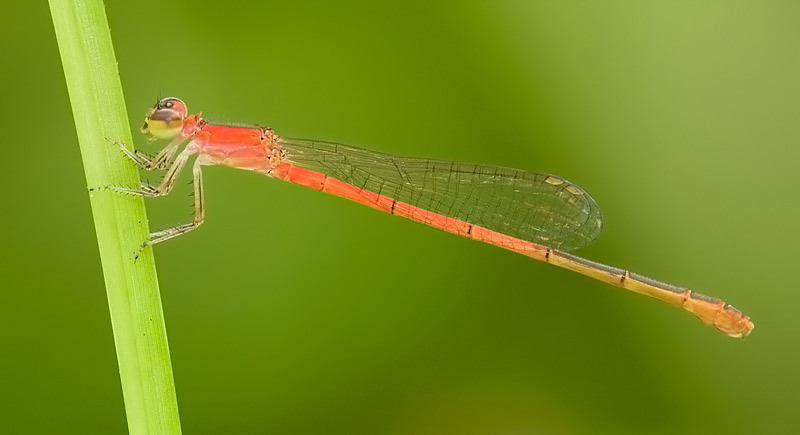 The males can be commonly found but not the female. A very cooperative species which usually perches around the same spot for a prolonged period. Location : Venus Drive, Jurong Woods, Jurong Woods II, Bukit Timah Bicycle Trail, Chestnut Ave, etc. 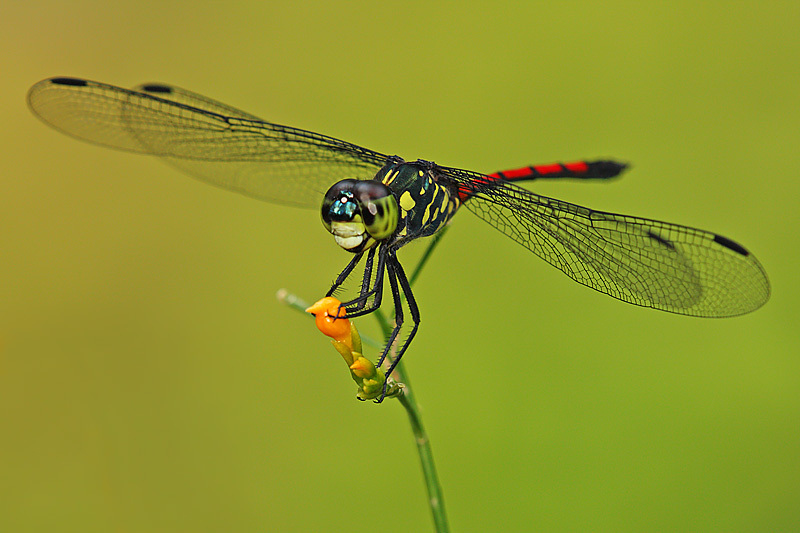 This is quite a large dragonfly and are commonly found in forested areas. 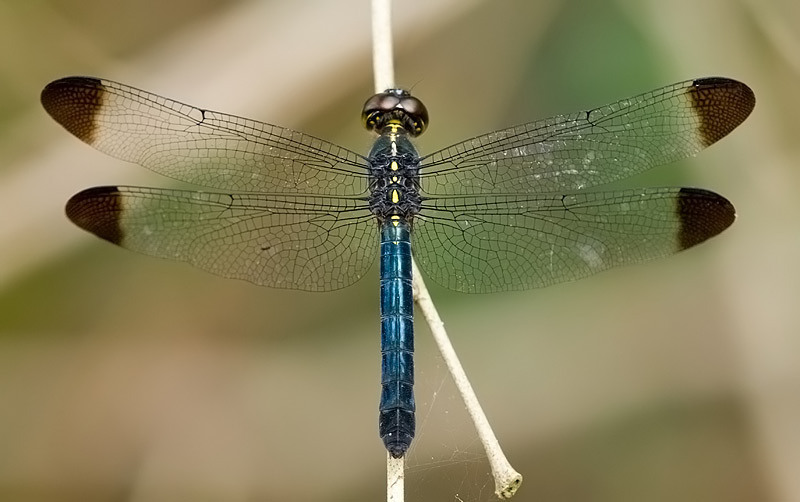 The male has a metallic blue thorax and dark blue abdomen with light blue bands near its abdominal base. 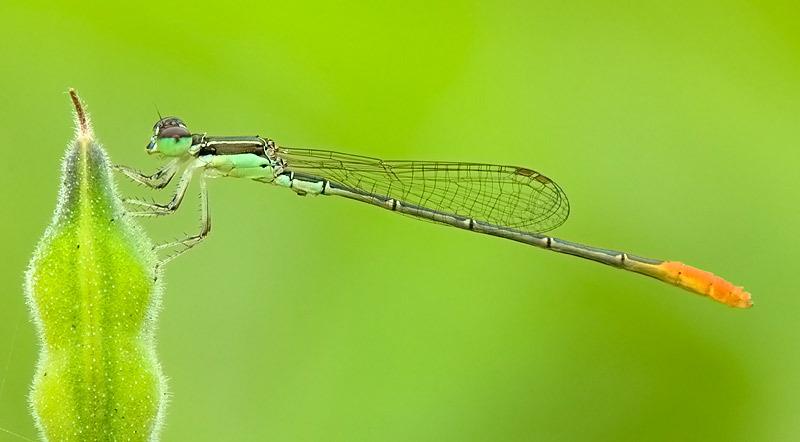 The females are less commonly seen which has attractive metallic turqoish abdomen. 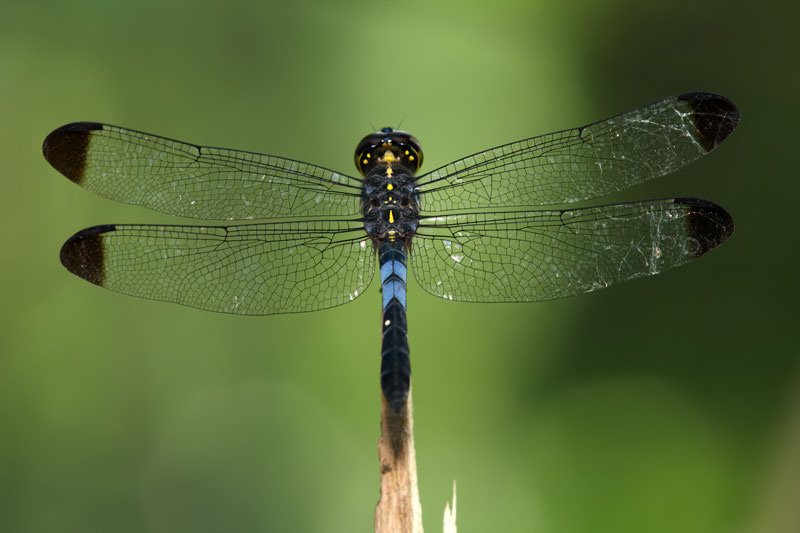 This species is easily recognised by its dark patch at the tip of its wings. My first encounter of this species was a male at Bukit Timah Bicycle Trail but I did not manage to capture it in pixel. My 2nd sighting of the male was at Jurong Woods. It was cooperative this time and I was able to take some decent shots. I was happy to find a female of the species at Venus Drive in Feb 2009. It was perching on a dry twig in the late morning near a stream. It is not difficult to spot as its metallic turqoise body makes it stands out from the dull surrounding. It was relatively easy to get close but the ground condition with lots of dry leaves and fallen branches made it difficult to get a better composition. In my view, the female looks more attractive to me.